Don't know why, recently I'm so crazy into fashion and shopping, try every possible way to buy clothes and accessories that I saw in those Japanese magazine. After some time searching and looking around, I think that things that I want are mostly out of my budget, such as clothes from Forever21, Cotton On and Topshop. To be honest, Topshop is the most expensive ones, kinda envy those who can buy Topshop clothes and accessories without have to save up all their lunch money. But first, I have to get a full body mirror tho hahaha. Some stuff I bought last week. • Earrings. So many to choose from and all of them are so lovely. The white leather tassels earrings is what I love most. 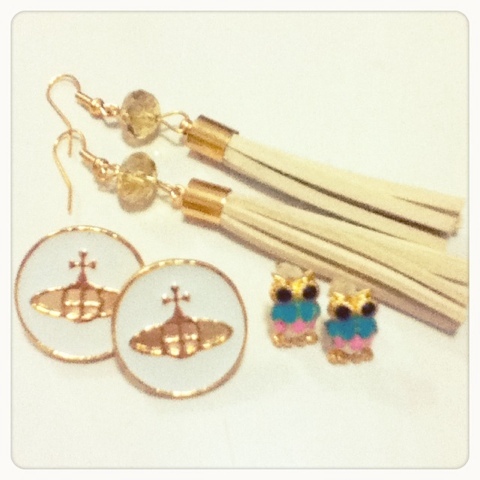 The Vivienne Westwood and colorful owl earrings are good match for casual outfit. • Lacey socks! I've been searching high and low for this kind of socks and finally F Block brings 'em in! It's a bit pricey tho but still, I love 'em an can't wait to put it on! 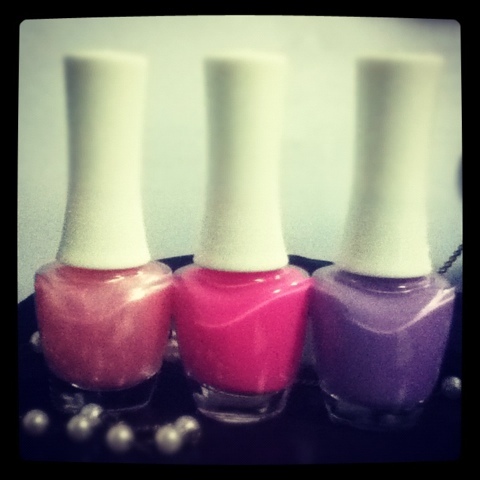 • Lollipop colours nail polishes from The Face Shop and they're selling 3 bottles for RM12! The colours are vibrant after 2 coats of application and the shimmers are so glittery even my mum loves it.